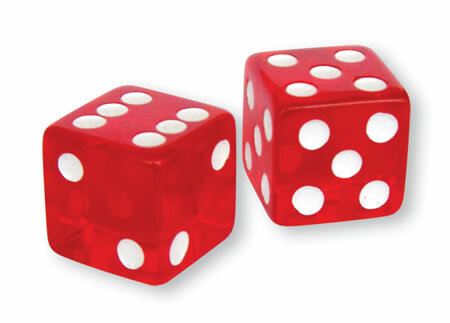 Our 3/4” (19 mm) Red Transparent Trick Dice look like regular dice, but they roll seven or eleven on every single throw. 7/11 Trick Dice come in pairs that feature one die that has five dots on all sides and a second die that has three sixes and three twos on the sides. Our 3/4” Seven/Eleven Trick Dice are great for promotions/mailings, special events, and much more. Please note: Each pair of trick dice comes with a free pair of matching regular dice.